A. MILITARY COUNTERS: The placement of military counters in a minor country. B. ANTI-COMINTERN COUNTER: The placement of the anti-Comintern counter (24.3). C. DIPLOMATIC COUNTER PLACEMENT: The placement of activity counters (“diplomatic counters”) in a minor country. D. RANDOM EVENTS: Diplomatic random events. Diplomatic general random events favor the Axis (brown), Western Allies (blue) or Russia (red). A. Germany, France and Russia may place military counters in specified adjacent minor countries, depending on their support levels and the status of the balance of power (Germany and France) or the Russian garrison (Russia). Major powers may also use military counters to intervene in civil wars (24.4). B. Each major power may place only one military counter in each eligible target. C. The number of military counters placed in non-civil war adjacent minor countries may not exceed the placing major power’s support level or their balance of power (Germany and France) or Russian garrison (Russia) advantage. 24.13 DIPLOMATIC COUNTERS: Each turn, during each diplomatic phase, each major power may place activity counters (“diplomatic counters”) in two or more different minor countries. One of these diplomatic counters may be a 0 counter (24.56G). 24.14 ADDITIONAL DIPLOMATIC COUNTERS: Major powers may place additional diplomatic counters after certain triggering events (24.53). 24.15 The effectiveness of military counters, diplomatic counters and diplomatic random events depends on the value of the counters and random events and the relationship between the various major powers, which determines how diplomatic forces interact. 24.16 Diplomatic results may be obtained without the placement of a military or diplomatic counter if random events favor one side or the other. 24.17 No die rolls are made to resolve diplomacy. 24.18 Diplomatic success results in a shift in the alignment of the diplomatic target. Diplomatic results are recorded by placing a flag in the target or removing a flag belonging to an opposing major power. 24.31 TIMING: At the start of the diplomatic phase, Germany may place one anti-Comintern counter as set out below. A. If the Russian cohesion level is low (fewer than 10 purge events), the anti-Comintern counter has a strength of one. B. If the Russian cohesion level is medium (10-19 purge events), the anti-Comintern counter has a strength of two. C. If the Russian cohesion level is high or full (20 or more purge events), the anti-Comintern counter has a strength of three. 24.33 COST: There is no cost to place the anti-Comintern counter. A. The anti-Comintern counter may only be placed in a minor country bordering Russia (Finland, Poland, Rumania or Turkey). B. The anti-Comintern counter may not be placed in a bordering minor country that contains one or more Allied flags or to which a pro-Allied public diplomatic random event applies. if all bordering minor countries contain Axis flags, then the bordering minor country that contains the fewest Axis flags. D. In the event of a tie in one of the above categories, the Axis player chooses where to place the anti-Comintern counter. A. In its initial diplomatic placement, Germany may place a diplomatic counter and (Poland only) a military counter in the bordering minor country in which the anti-Comintern counter would otherwise be placed, provided the strength of the German diplomatic effort exceeds the strength of the anti-Comintern counter. B. The anti-Comintern counter is then relocated to the next eligible location, with the process being repeated as often as required. C. Italian diplomatic counters may not be used in this fashion. Since the placement of the anti-Comintern counter and the initial German diplomatic counter(s) are, practically speaking, simultaneous, 24.35 simply allows Germany to make a diplomatic effort in a bordering minor country greater than allowed by the anti-Comintern counter itself. A. 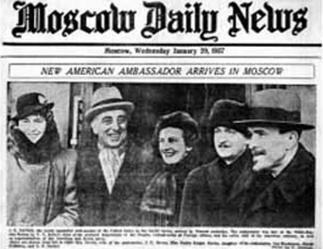 The Allies may not place a diplomatic counter in the minor country in which the anti-Comintern counter was placed; Russia may. B. Both the Axis and Russia may support or oppose the anti-Comintern counter with covert operations or subversion (Russia only). 24.37 EFFECTS: The anti-Comintern counter acts like a pro-German diplomatic random event, modifying the diplomacy for the minor country in which it is placed by its strength. 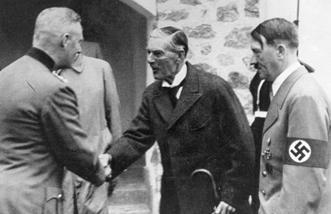 24.38 NAZI-SOVIET PACT: If the Nazi-Soviet Pact has been signed, Germany may no longer place the anti-Comintern counter. 24.41 OVERVIEW: Military counters reflect the diplomatic effect of a major power’s armed forces. Military counters are placed at the same time as diplomatic counters. Military counters may be used diplomatically in neighboring minor countries and to intervene in civil wars. A. TIMING: Axis military counters are placed at the same time as the initial placement of Axis diplomatic counters, after the anti-Comintern counter has been placed. Allied and Russian military counters are placed at the same time as Allied and Russian diplomatic counters. B. PLACEMENT OPEN: Military counters are placed openly, so all players know which minor countries are affected. D. LIMIT PER TARGET: A major power may place no more than one military counter in each neighboring minor country. Both Germany and Italy may place a military counter in a civil war country. Diplomatic use: One tile point must be paid to place a military counter in a neighboring minor country for diplomatic purposes. Activity counters are not required for the diplomatic use of military counters. Civil war intervention: One 1 activity counter must be used and paid for to place a military counter in a civil war country. F. EFFECT: Each military counter gives the placing major power a +1 diplomatic modifier, in the same manner as a diplomatic random event. 24.43 GERMAN MILITARY COUNTERS: Germany may place military counters if the Axis have a balance of power advantage and Germany has a positive support level (EXCEPTION: These requirements do not apply to the use of a military counter to intervene in a civil war). A. ONE MILITARY COUNTER: If the Axis have a balance of power advantage of at least one and Germany has a support level of at least one, Germany may place one military counter. B. TWO MILITARY COUNTERS: If the Axis have a balance of power advantage of at least two and Germany has a support level of at least two, Germany may place two military counters. C. THREE MILITARY COUNTERS: If the Axis have a balance of power advantage of three or more and Germany has a support level of three or more, Germany may place three military counters. Germany may place military counters only in the Rhineland, Belgium/Luxembourg (provided the Rhineland has been remilitarized), Austria, Czechoslovakia and Poland. Germany may place a military counter to intervene in one civil war each turn, subject to its overall limit of placing three military counters each turn (24.42C). E. POLAND: Germany may not place both a military counter and the anti-Comintern counter in Poland. If the anti-Comintern counter was initially placed in Poland, Germany may only place a military counter in Poland by placing a diplomatic counter in Poland that results in the relocation of the anti-Comintern counter (24.35). 24.44 ITALIAN MILITARY COUNTER: Italy may use its military counter only to intervene in a civil war and therefore may place its military counter whether or not the Axis have a balance of power advantage or Italy has a positive support level. Italy may not place its military counter in a minor country which is not engaged in a civil war. Italy may not place its military counter if it is engaged in the conquest of a minor country. 24.45 FRENCH MILITARY COUNTER: France may place a military counter if the Allies have a balance of power advantage and France has a positive support level (EXCEPTION: These requirements do not apply to the use of the French military counter to intervene in a civil war). A. RESTRICTIONS: France may place its military counter in Belgium/Luxembourg, the Rhineland, prior to it being remilitarized by Germany; or use it to intervene in either a Yugoslavian civil war or in a Greek civil war in a turn in which the Allies are supporting the rebels, subject to its overall limit of placing one military counter each turn (24.42C). 24.46 BRITISH MILITARY COUNTER: Britain may use its military counter only to intervene in either a Yugoslavian civil war or in a Greek civil war in a turn in which the Allies are supporting the rebels, whether or not the Allies have a balance of power advantage or Britain has a positive support level. 24.47 RUSSIAN MILITARY COUNTERS: Russia may place military counters if Russia’s garrison is greater than required (21.41B) and Russia has a positive support level (EXCEPTION: These requirements do not apply to the use of a military counter to intervene in a civil war). A. ONE MILITARY COUNTER: If Russia has one or two surplus units in the Russian garrison and has a support level of at least one, it may place one military counter. B. TWO MILITARY COUNTERS: If Russia has three, four or five surplus units in the Russian garrison and has a support level of at least two, it may place two military counters. C. THREE MILITARY COUNTERS: If Russia has six or more surplus units in the Russian garrison and has a support level of at least three, it may place three military counters. Russia may place military counters only in Finland, Poland, Rumania and Turkey. Russia may place a military counter to intervene in in either a Spanish civil war or in a Greek civil war in a turn in which Russia supports the rebels, whether or not the Russia has a garrison surplus or a positive support level, subject to its overall limit of placing three military counters each turn (24.42C). Russia may not place military counters, including civil war intervention, if it is subject to a Military or Great Purge. 24.51 DIPLOMATIC COUNTERS: The pool of diplomatic counters is limited by the activity counters available for diplomatic use for each major power. The activity counters available for diplomacy will be the activity counters not used in the economic phase of the current turn, and will never include the activity counters that may only be used for research and shipbuilding. A. Diplomatic counters are purchased during the diplomatic phase, immediately before they are placed, at the equivalent cost in tile points. B. A major power may not incur a deficit to purchase diplomatic counters (6.12), although a major power may reveal a secret support random event in order to augment its income to purchase diplomatic counters (9.41E). C. Actual payment for diplomatic counters is made at the end of the diplomatic phase, to conceal the strength of the diplomatic counters purchased until they have been used. 24.53 ADDITIONAL DIPLOMATIC COUNTERS: An additional diplomatic counter may be placed by a major power that achieves a diplomatic advantage or result in a civil war country, or which wins a civil war (25.54A, 25.55A, 25.72). Additional diplomatic counters have a strength of one. There is no activity counter or tile point cost for additional diplomatic counters. Additional diplomatic counters are placed in the initial diplomatic round of the turn after the triggering event occurs. Additional diplomatic counters do not count against the diplomatic counter placement limit (24.54E). Each major power may place no more than one additional diplomatic counter each turn. The Axis and Allies may place an additional diplomatic counter from a civil war in any minor country. Russia’s placement of an additional diplomatic counter from a civil war is subject to the geographical restrictions that apply to the placement of other Russian diplomatic counters (24.61B, C). A. USE OF DIPLOMATIC COUNTERS: Each major power is restricted in the number and denomination of diplomatic counters it uses to the diplomatic counters available to it during the diplomatic phase. B. TIMING: Diplomatic counters are placed during the diplomatic phase. C. CONCEALMENT: The placement of diplomatic counters in minor countries is open, but the values of the diplomatic counters placed are kept secret until all diplomatic counters are placed and diplomacy is resolved. D. ONE COUNTER PER TARGET: Each turn, each major power may place only one diplomatic counter per country. Any minor country which contains an active spy ring belonging to the placing major power (16.16B). Any minor country which contains a Russian flag. Greece, Spain and Yugoslavia, if a civil war is being fought (25.52A). One additional diplomatic counter as a result of civil war success (24.53). As allowed by certain random events. A. AXIS: Germany and Italy initially may each place one diplomatic counter in an eligible minor country, plus any additional diplomatic counters and diplomatic counters in minor countries containing Axis spy rings or in which a civil war is being fought. B. RUSSIA: Russia then places all its diplomatic counters. C. ALLIES: Britain and France then place all their diplomatic counters. D. AXIS: Germany and Italy may each then place one additional diplomatic counter, provided the placing Axis major power placed at least one diplomatic counter initially. Random events revealed: All opposing secret diplomatic random events in the diplomatic target must be revealed before diplomacy begins. Opposing military and diplomatic counters placed openly: Any opposing military and diplomatic counters placed in the diplomatic target must be placed openly before any other diplomatic counters are placed. Placement limits do not apply: Diplomatic counters placed in minor countries containing active spy rings do not count against the normal placement limits (24.54E). Diplomatic modifier: The owning alliance receives a +1 diplomatic modifier in one turn each year, in the same manner as a random event, whether or not any diplomatic counters are placed in the minor country, for the duration of the spy ring (16.16B). A. Either Germany or Italy must place a diplomatic counter in one of the minor countries during its initial diplomatic placement. B. Russia then has the option of placing a diplomatic counter in the other minor country, if it is otherwise permitted to do so (24.61). C. If Russia does not place a diplomatic counter in the other minor country, then either Britain or France must do so. D. Russia, Britain and France may not place a diplomatic counter in the minor country supported by the Axis. E. Similarly, neither Axis major power may later place a diplomatic counter in the minor country supported by Russia or the Allies. F. The placement of diplomatic counters required by these random events counts towards the limits on diplomatic counter placement (24.54E). A. TARGET MUST BE UNCONQUERED: Diplomatic counters may not be placed in a minor country which has been the target of a successful aggression. B. ANTI-COMINTERN COUNTER: Axis and Allied diplomatic counters may not be placed in a minor country containing the anti-Comintern counter. C. AXIS AND ALLIED DUPLICATION PROHIBITED: Germany and Italy may not place diplomatic counters in the same minor country in the same turn. Similarly, Britain and France may not place diplomatic counters in the same minor country in the same turn. Diplomatic counters may be placed in minor countries for which a random event has been drawn or in which a hostile major power has placed a diplomatic counter. D. ALLIES AND RUSSIA: The Allies may not place a diplomatic counter in a diplomatic target containing one or more Russian flags, or for which a general or secret Russian diplomatic random event has been drawn in that turn (EXCEPTION: The Allies may support their faction in a civil war even if there are Russian flags present). The converse does not apply; Russia may place diplomatic counters in diplomatic targets containing Allied flags or for which there is an Allied random event. E. PLACEMENT IN RUSSIA PROHIBITED: Diplomatic counters may not be placed in Russia except as permitted by a random event. Otherwise flags may be placed in or removed from Russia as set out in 10.91F. F. NAZI-SOVIET PACT: The Nazi-Soviet Pact has no effect on diplomacy between the Axis and Russia, other than that the anti-Comintern counter may no longer be used by Germany. a major power that has no tile points at the start of the diplomatic phase and no remaining secret support event that might augment its tile points. a major power that has no other activity counters available at the start of the diplomatic phase. Russia, if prohibited from diplomacy by purge effects. This rule shouldn’t be necessary, but it turned out to be, as some playtesters couldn’t resist playing games by placing diplomatic counters to see if the opponent could figure out that the placement was meaningless. Life is too short for such things. 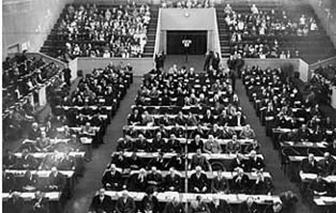 A. RUSSIAN PURGE EFFECTS: If Russia is subject to a Great Purge, or the Party Purge event and elects to forego diplomatic counter placement (22.21B), Russian diplomacy is prohibited. Finland, Poland, Rumania and Turkey. Are engaged in a civil war (Greece and Spain only). A location permitted by the draw of random events 110-115. C. FULL COHESION: Once Russia has reached full cohesion, it may, in addition to the above, also place diplomatic counters in Albania, Bulgaria, Czechoslovakia, Greece, Hungary, Sweden and Yugoslavia. 24.71 Germany and Italy (the Axis) are on friendly terms. 24.72 Britain and France (the Allies) are on friendly terms. 24.73 The Axis and the Allies are hostile to one another. 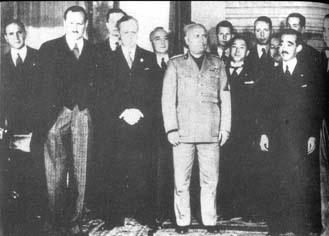 24.74 Russia is hostile to the Axis and Allies prior to the signing of the Nazi-Soviet Pact and hostile to the Allies afterwards. 24.75 FRIENDLY MAJOR POWERS: Major powers which are friendly combine their diplomatic counters and random events, although two friendly major powers may not both place diplomatic counters in the same target (24.56C). A. A major power counts its diplomatic counters and random events separately from those of hostile major powers. B. A major power’s diplomatic counters and random events always count against those of hostile major powers. A. The overall diplomatic effort in each minor country for the Axis, the Allies and Russia is determined by the total of the value of the military and diplomatic counters placed in the minor country, the applicable random events for the minor country and any other modifiers. All diplomatic counters placed in minor countries are turned over so their values are revealed. All secret national random event cards relating to diplomatic targets are revealed by the major power(s) which drew the card(s). Diplomatic random event results in brown favor the Axis. Where it is not clear from the event itself, Germany benefits. Diplomatic random event results in blue favor the Allies. Where it is not clear from the event itself, France benefits. Diplomatic random event results in red favor Russia. Covert operations (16.16A) and Russian subversion (16.16H) are conducted. B. Germany/Italy, Britain/France or Russia achieves a diplomatic result if its total diplomatic effort is higher than that of the other two alliances, calculated separately (alliances never combine to block a third alliance). C. A diplomatic result shifts the alignment of the diplomatic target one level in favor of the successful major power(s) (24.82). D. All diplomatic and military counters are retrieved at the end of the diplomatic phase; all random event cards used in diplomacy are returned to the discard pile. A. The diplomatic alignment of the target is shifted one level, regardless of the extent by which the successful alliance won. Any surplus is lost and cannot be retained for use in a subsequent turn. If the target had a favorable or neutral diplomatic alignment, the successful major power places a flag counter in the target. If the target had an adverse diplomatic alignment, one flag counter is removed from the target. Until the Nazi-Soviet Pact is signed, Allied diplomatic results do not eliminate Russian flags, and Russian diplomatic results do not eliminate Allied flags. British, French and Russian flags may therefore co-exist in the same diplomatic target prior to the signing of the Nazi-Soviet Pact, although the Allies may not place a diplomatic counter in a diplomatic target containing both Allied and Russian flags (24.56D). It follows from this rule that the French flag that begins the game in Poland, which increases the Russian garrison requirement, cannot be removed by Russia. If the Axis eliminate the French flag, this helps Russia - in the short term. When the Nazi-Soviet Pact is signed, Russian and Allied flags may no longer co-exist and are immediately eliminated on a 1:1 basis in each diplomatic target containing both Russian and Allied flags. If two major powers contribute to a diplomatic effort, the “successful major power” is the major power which made the greater contribution to the diplomatic result. In case of a tie, Germany or France benefits by placing a flag or (Germany only) by applying a +1 diplomatic modifier in the next turn for eliminating a Russian flag (24.83). If the major powers are Axis or Allied, the major power which has more flags in the minor country loses a flag. In case of a tie, Italy or Britain loses a flag, as the case may be. If Russian flags are co-existing with Allied flags, the Axis player must remove a Russian flag. D. There may never be more than four flags in a diplomatic target. E. If a diplomatic random event has no effect because the target minor country has been conquered or because the target minor country already has four flags and the random event was not required to preserve the flags, the major power playing the random event receives a support increase equal to the value of the unused diplomatic modifier on the random event (a “1” diplomatic event generates +1 support; a “2” diplomatic event generates +2 support). A. In the following turn, a +1 diplomatic modifier favoring the Axis major power that made the greatest contribution to eliminating the Russian flag applies to the minor country from which the Russian flag was eliminated. B. A minor country that has been conquered may not be chosen as a target for the diplomatic modifier. C. The diplomatic modifier is applied after all random events are revealed and before the strength of diplomatic counters is revealed. D. In determining which Axis major power benefits, diplomatic counter and random event totals are compared; covert events and counter-intelligence against opposing covert events are ignored. In case of a tie, Germany benefits. 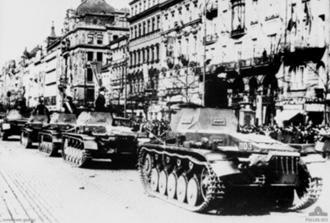 24.91 CIVIL WARS: Random events in Greece, Spain and Yugoslavia may trigger a civil war (25).